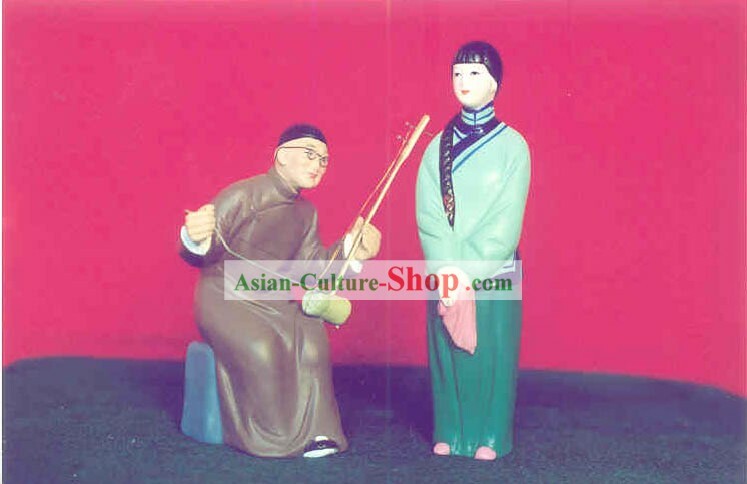 description:The painted sculptural art of Clay Figurine Zhang in Tianjin is a prestigious Chinese traditional folk art.Orginated by Mingshan Zhang Daoguang Years in the Qing Dynasty,passed down for four generations till today,Clay Figurine Zhang has a 180-years history.Clay Figurine Zhang expresses typical characterstic of realism,depicts character and posture precisely, pursues the comfiguration of anatomical,exaggerates in reason,selects fodder appropriately ,shows dainty color and comprehends priginalaesthetic views.Clay Figurine Zhang has become an absolute vivid original plastic art style.Many maestros,like Guo Moruo,Zhang is now widely known to household.Special news and introductions have been made though the feature of China Center TV .Tianjin TV,and TVstation of Hong Kong,Taiwan,US,Nether Land,Kong and so on. 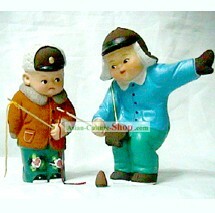 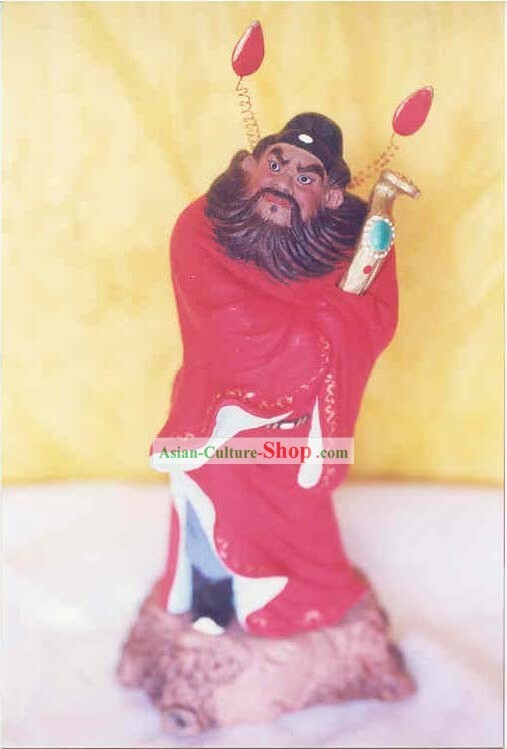 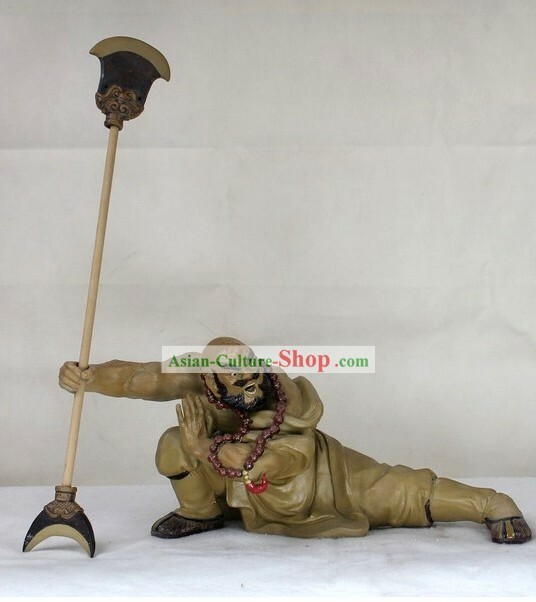 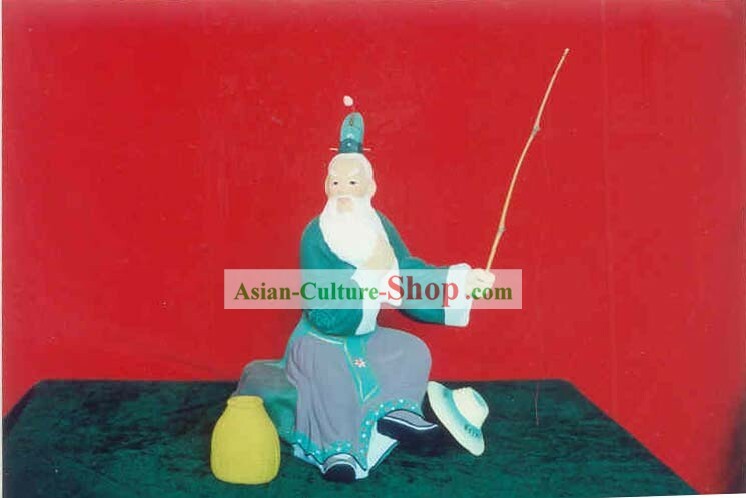 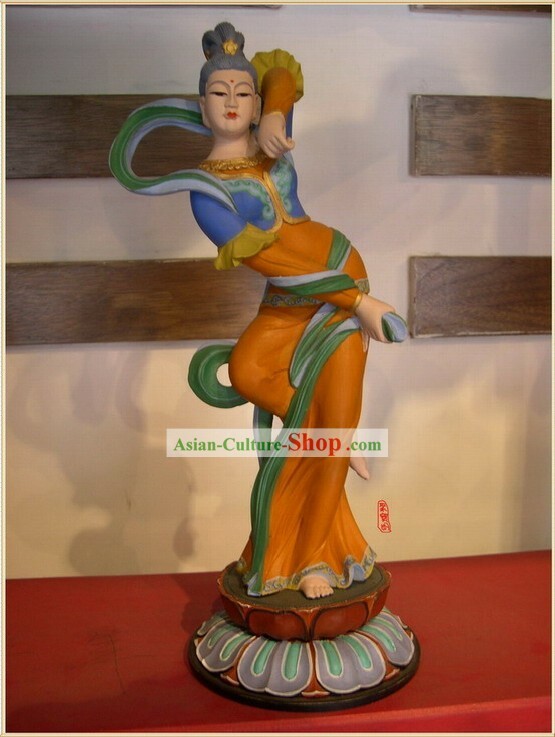 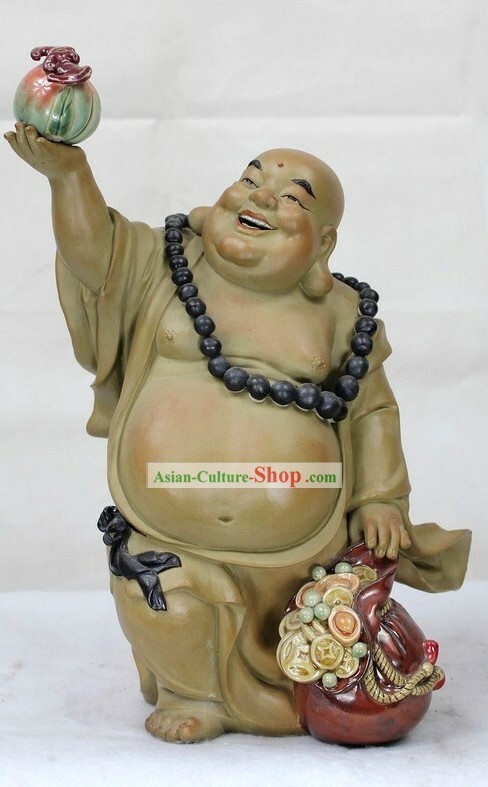 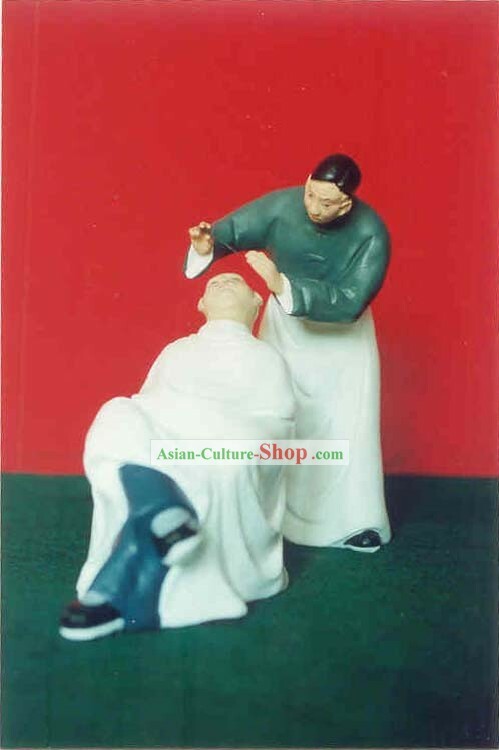 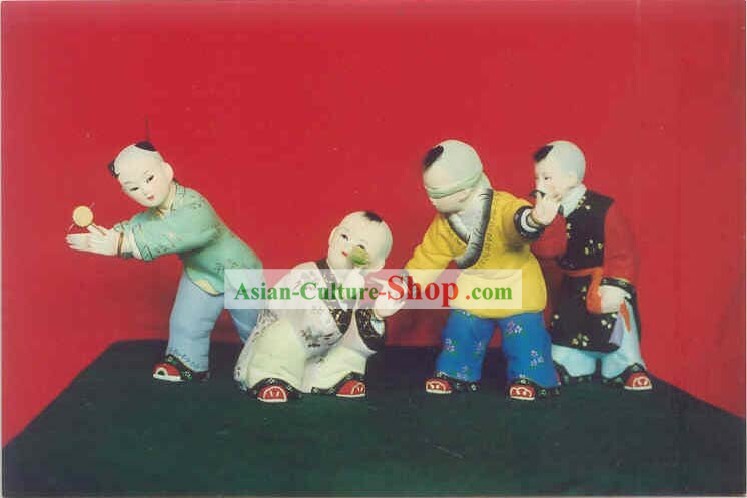 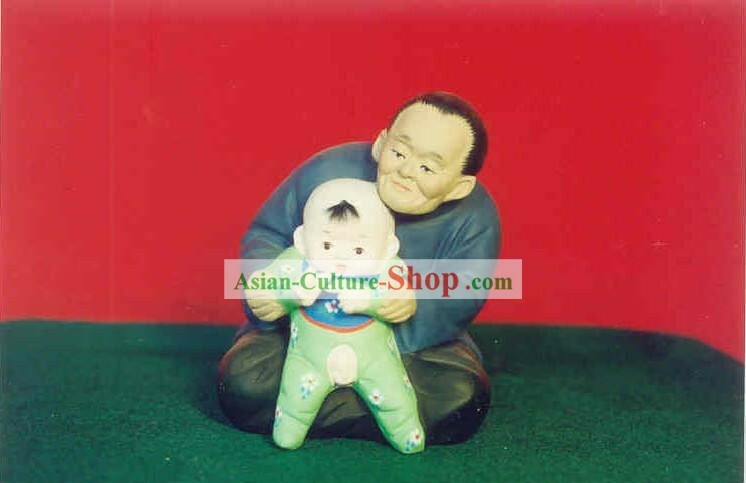 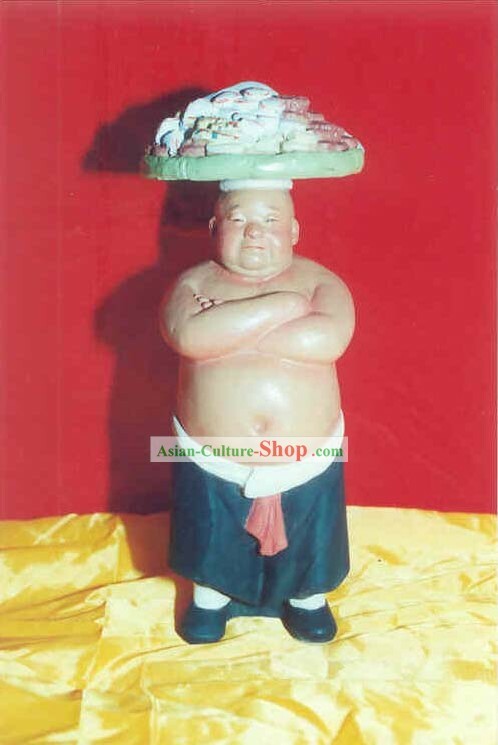 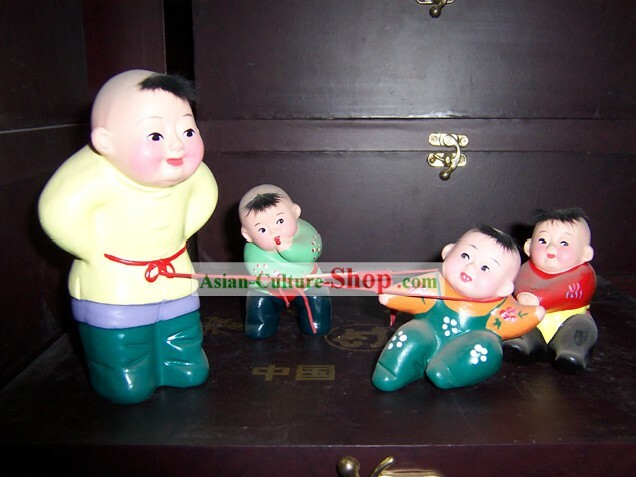 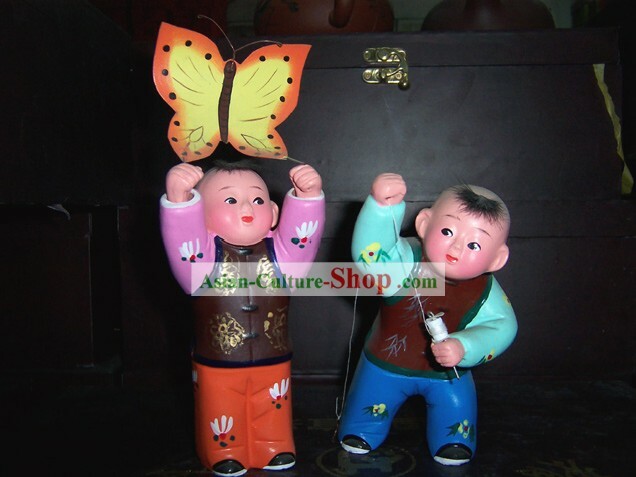 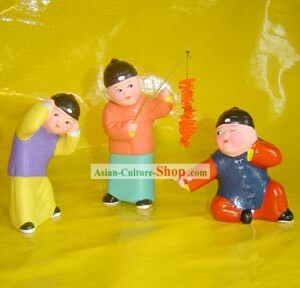 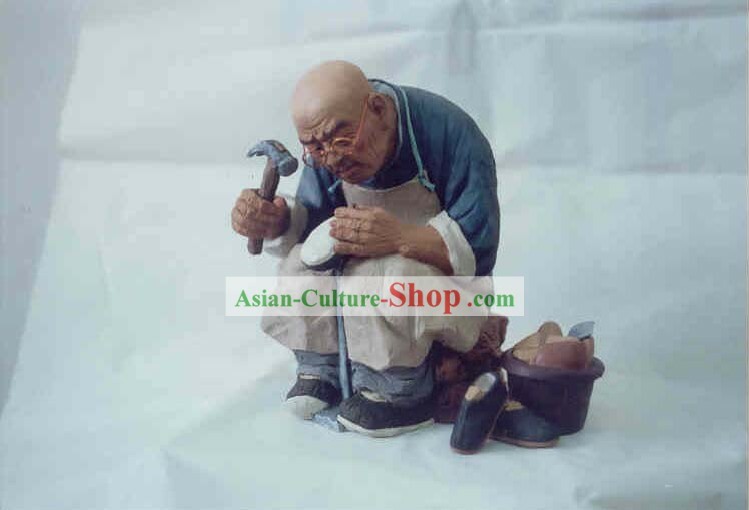 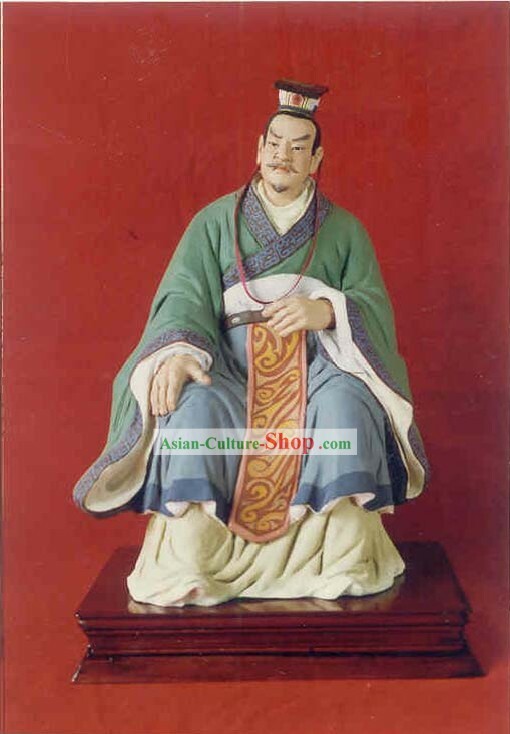 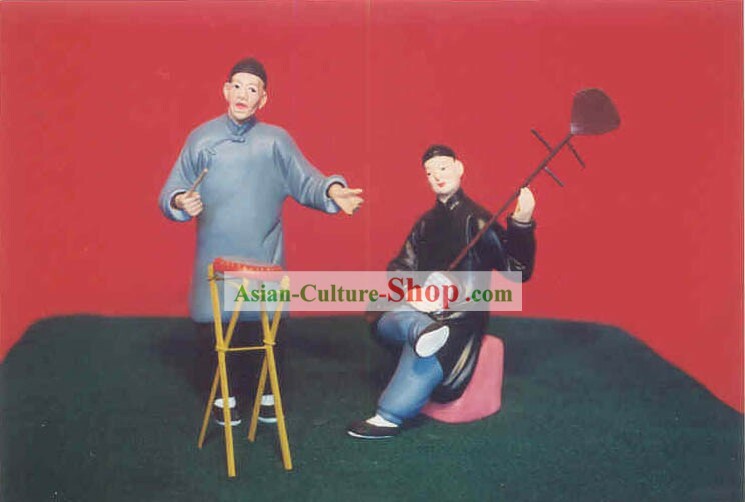 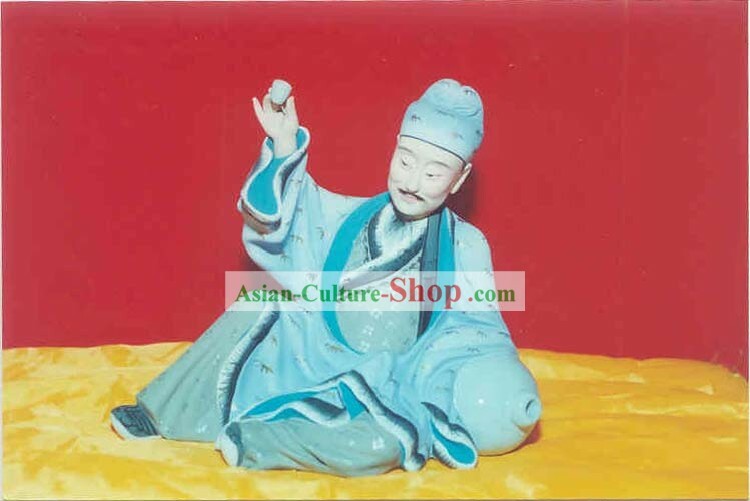 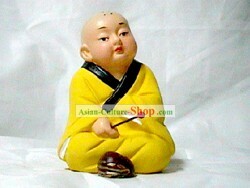 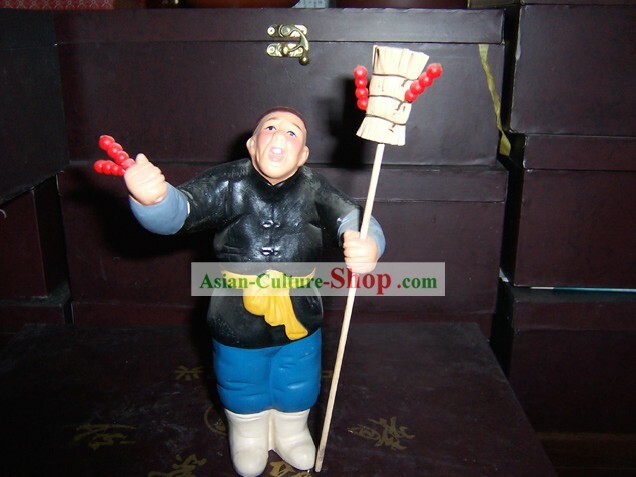 ¡¡The Clay Figurine Zhang is a kind of indoor decorative sculpture.A figurine is about 40cm in height. 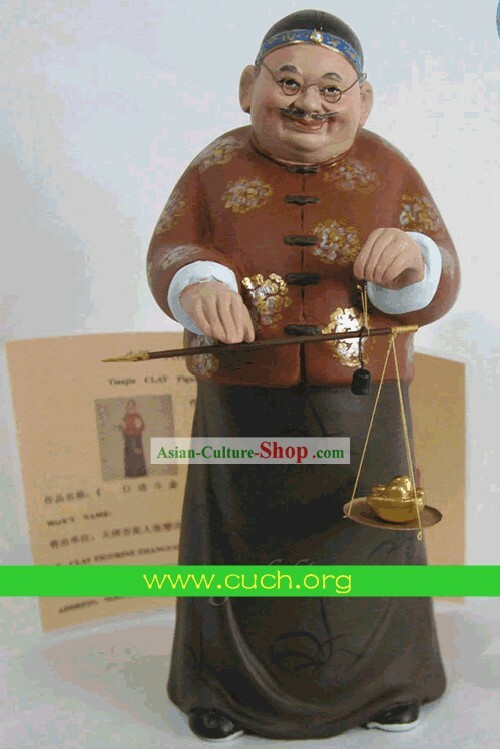 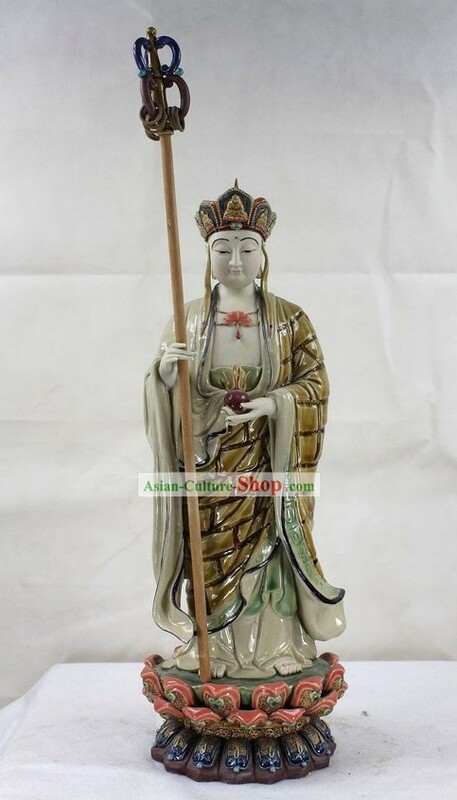 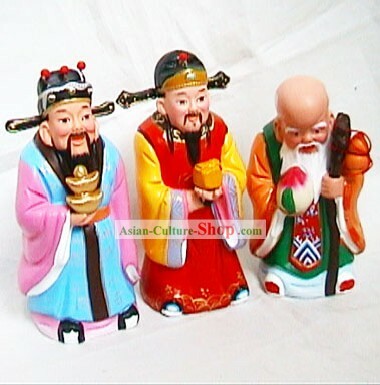 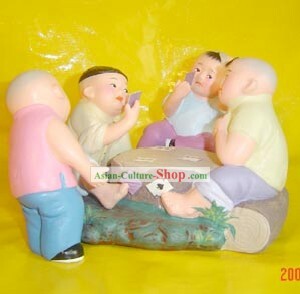 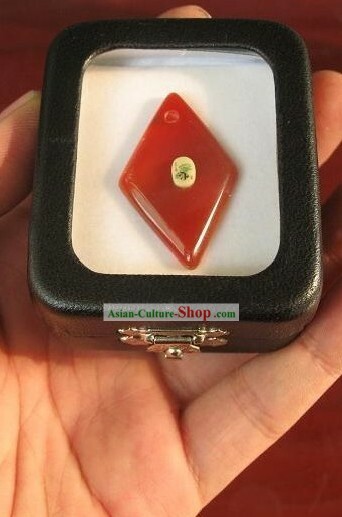 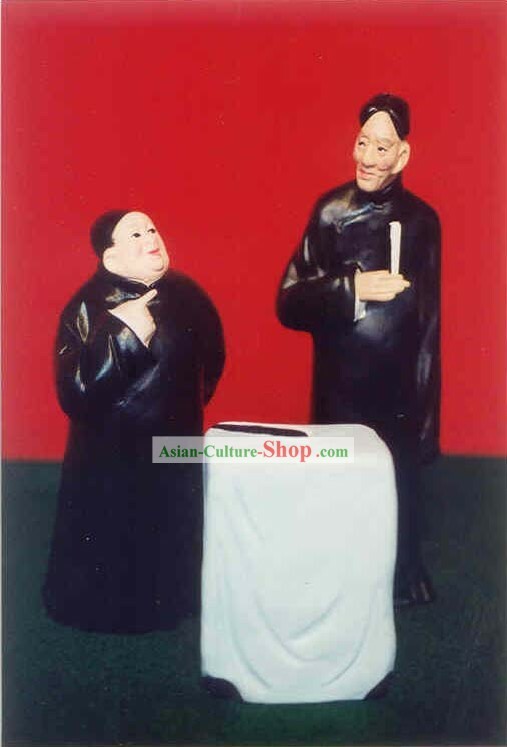 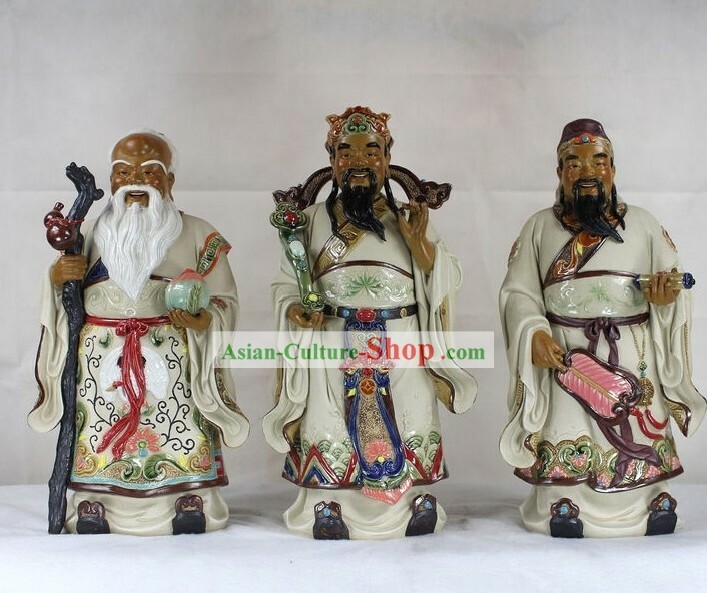 Its small size makes it a terrific desk or bookshelf ornament,so it is also called 'desk sculpture'.The art of Clay Figurine Zhang is a decorate style that used widely in various circumstance.It plays an important role in serving community and beautifying cirumstance. 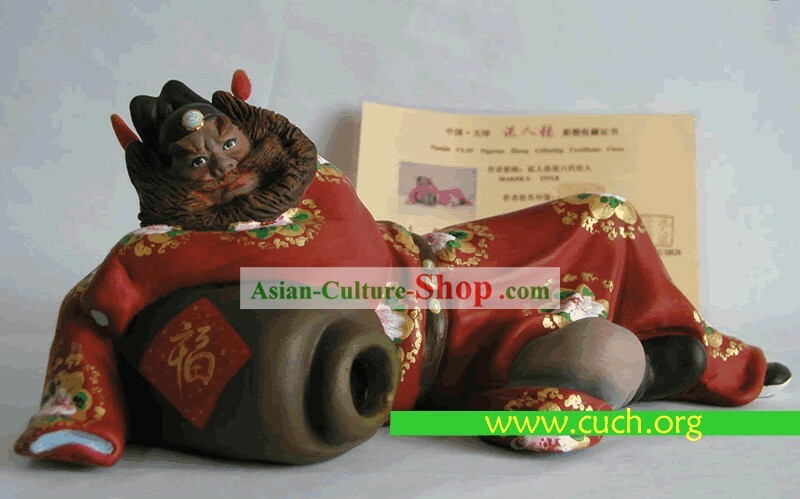 ¡¡The primary stuff that Clay Figurine Zhang used is a kind of pureness colloidal clay without sand and impurity.Airslaked,filtered,dehydrated and beaten again and again,the pureness colloidal day became 'cooked clay'.This 'cooked clay'has strong agglutination,The dye of Clay Figurine Zhang is propylenedye.Assistant materials of Clay Figurine Zhang comprise ligum,bamboo,wire,paper and thin silk flowers,etc. 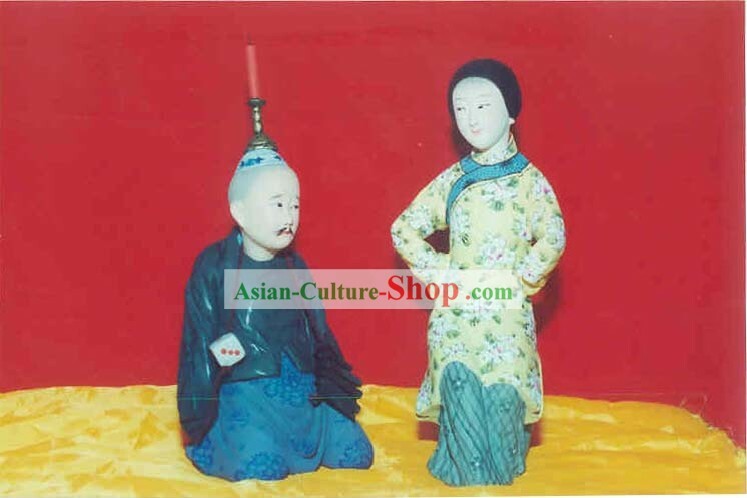 ¡¡The shaped sculptural model should abstain from sunlight or fire, the right desiccative way for the shaped model is air desiccation. 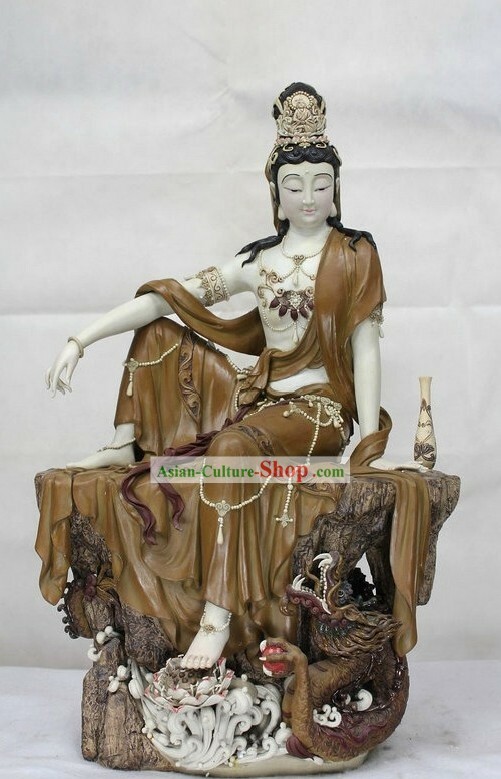 After being inside out desiccated. 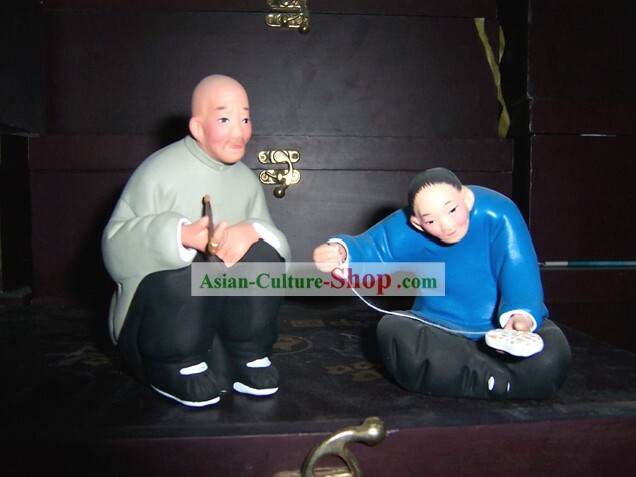 Clay figurine must be baked in kiln which is 700 Celsius Degree in temperature, then be burnished and cleaned up, finally it can be painted. 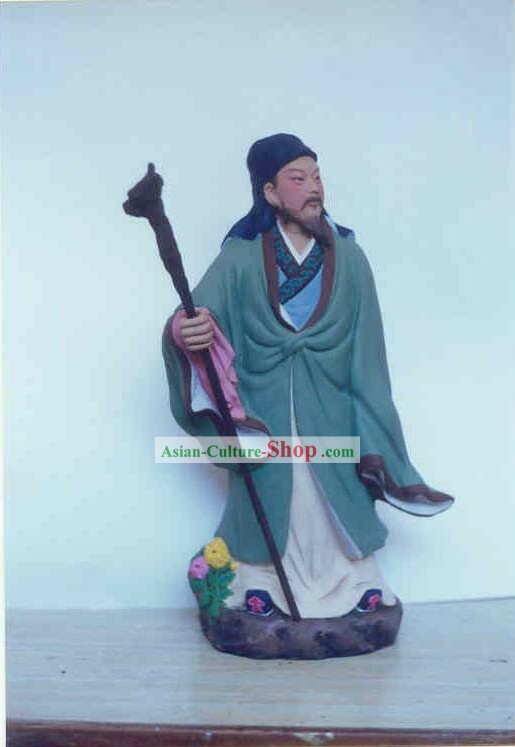 ¡¡ The dye used for Clay Figurine Zhang has been progressed prodigiously. 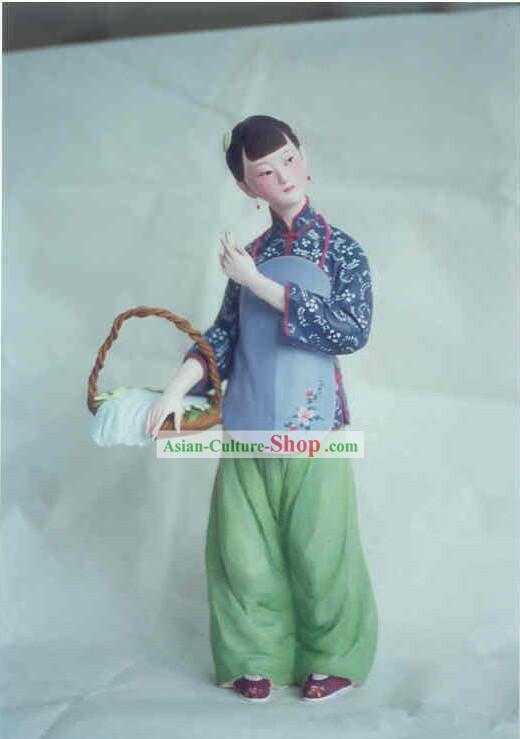 Watercolor was used past, this type of dye is inclined to blowout and fade, its bestrow ability is difference, and it can¡¯t keep for long. 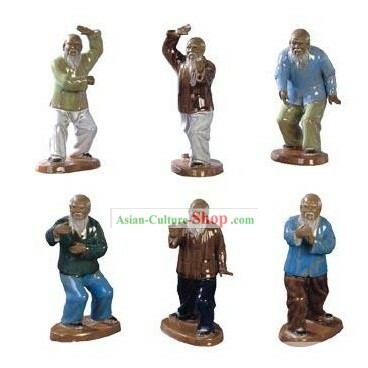 Attribute to science development. 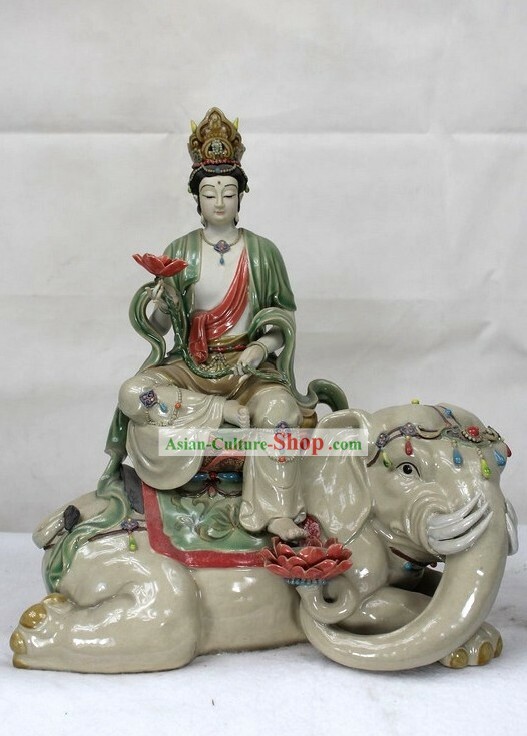 Now we use propylene dye, although this type of dye is expensive, it has lots of merit; no blowout, no fade, no fall off, and better bestrow ability, in addition it isn¡¯t dissolved in water after desiccation, so we can wash clay figurine with water. 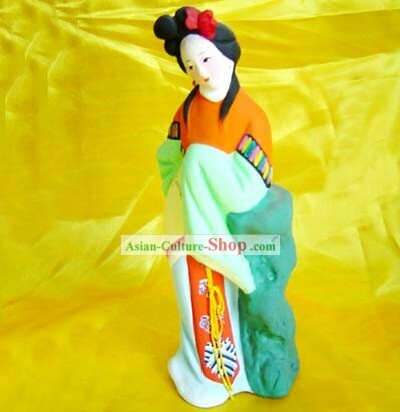 ¡¡It takes about 30 days to finish a piece of complete clay figurine. 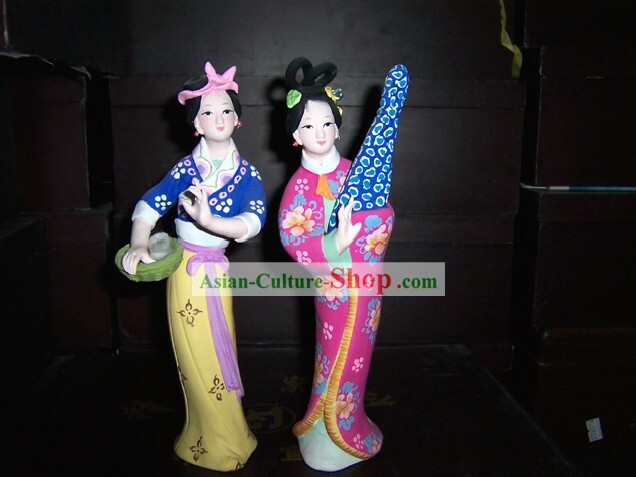 Packed with traditional Chinese wrapper, the splendid art work of Clay Figurine Zhang is more resplendent and dazzlingly. 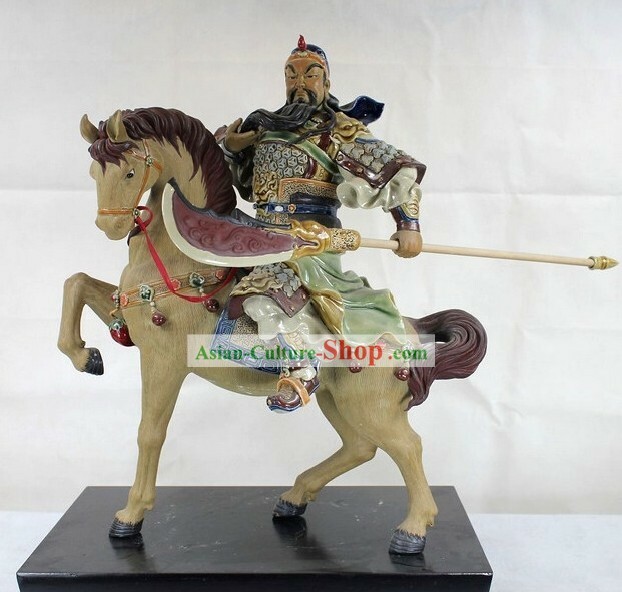 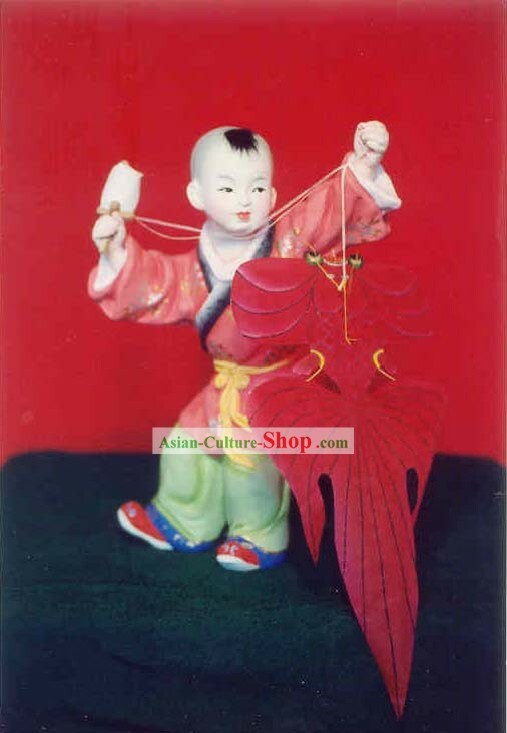 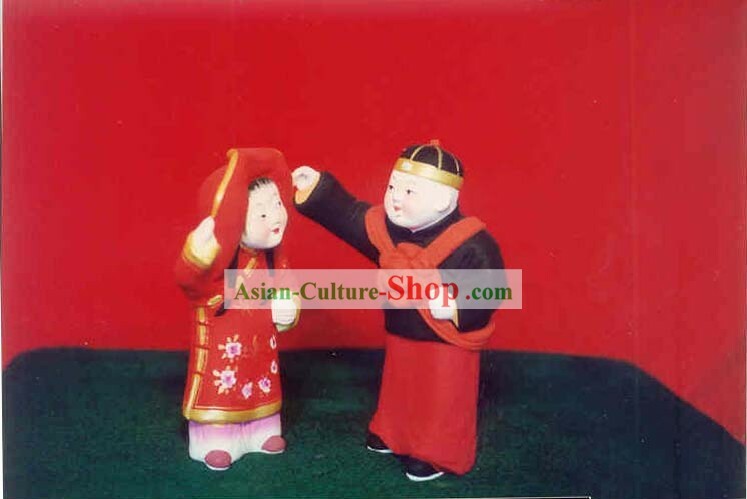 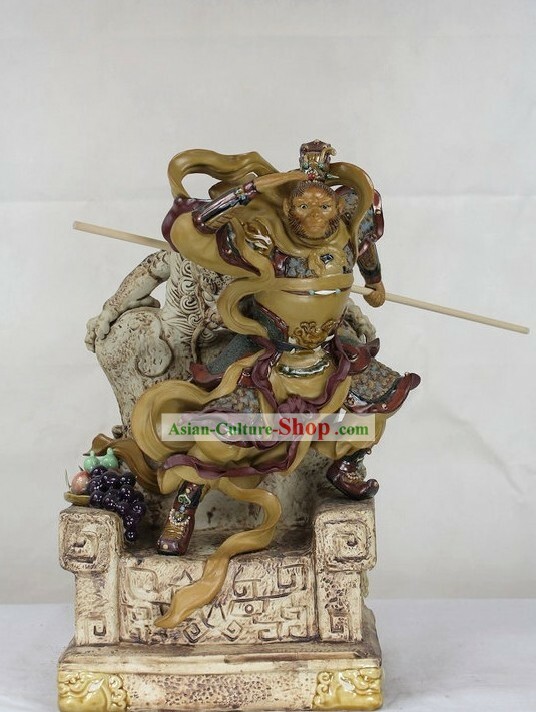 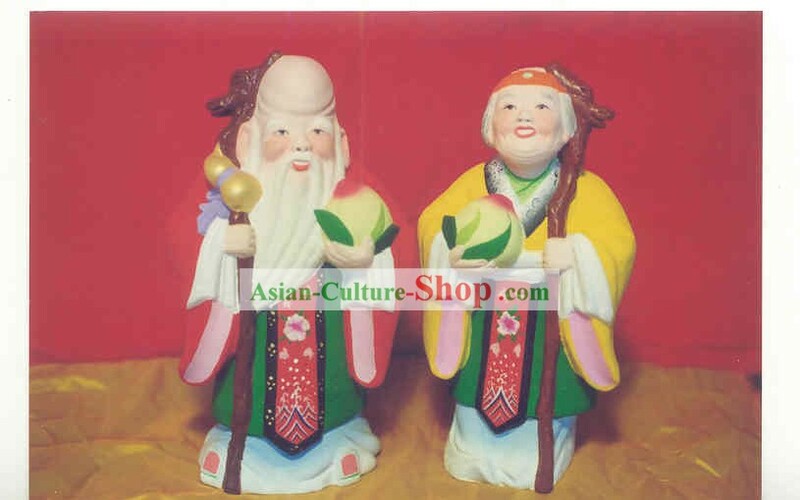 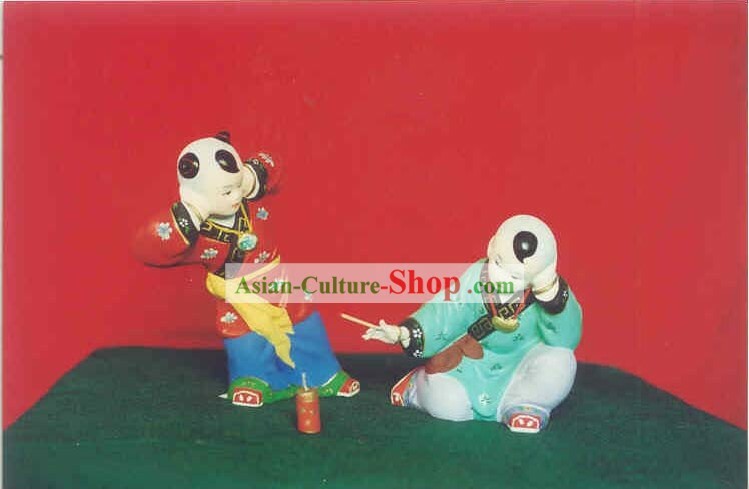 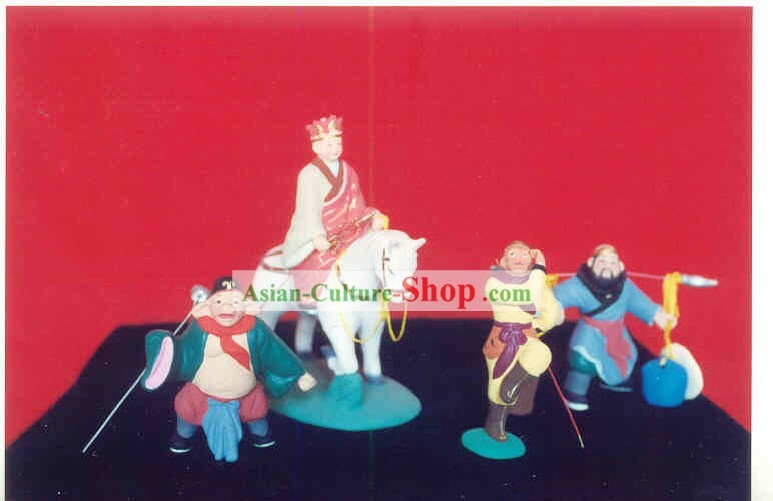 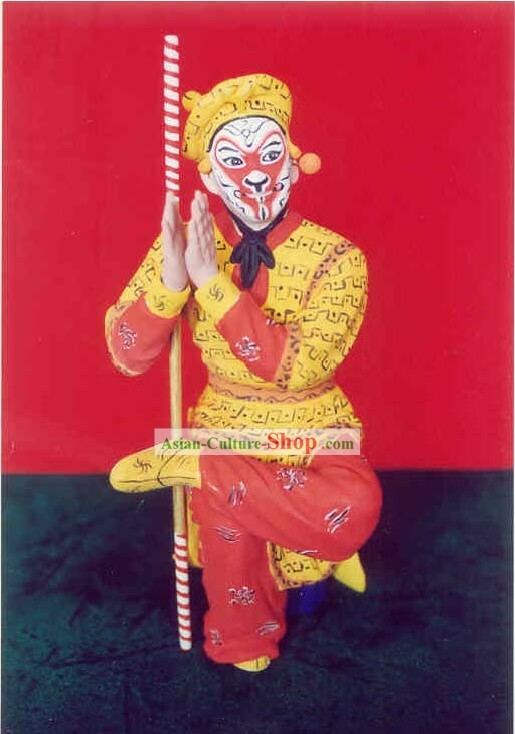 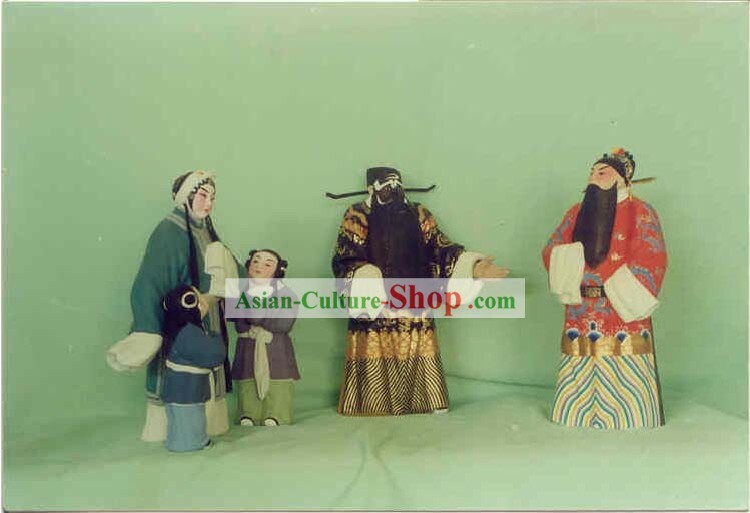 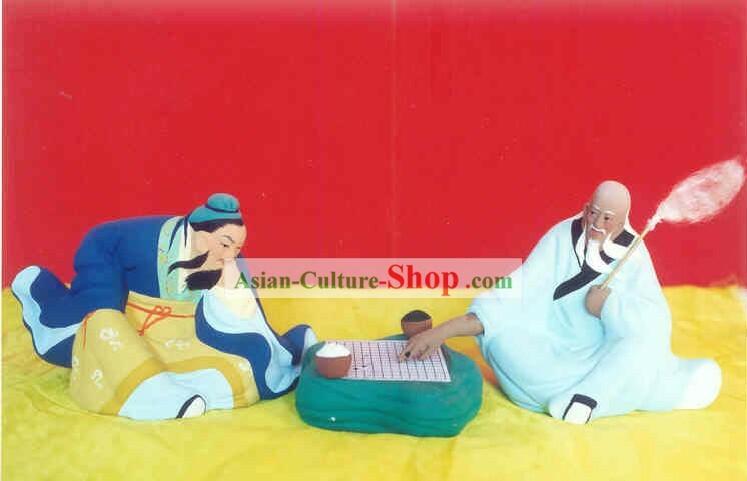 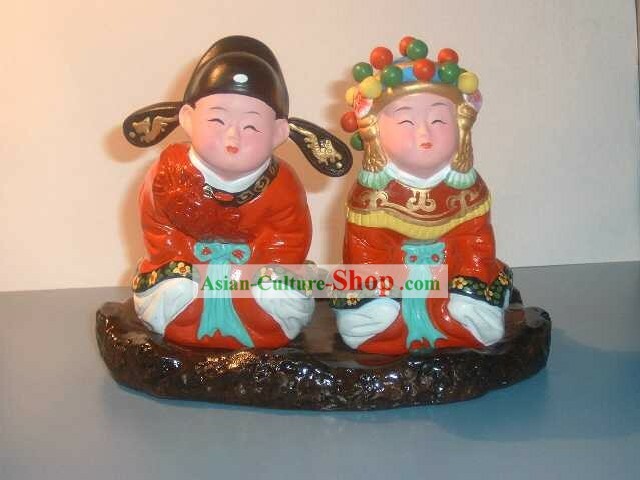 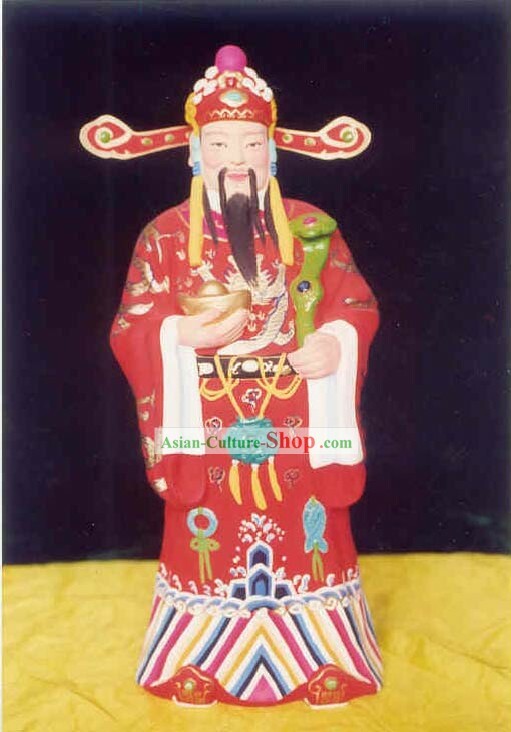 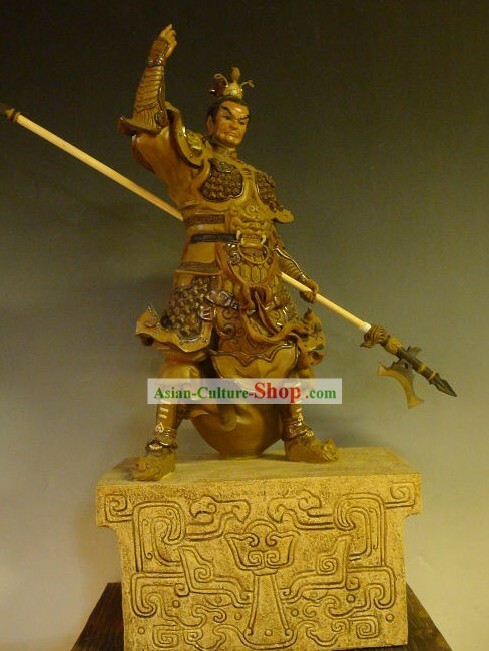 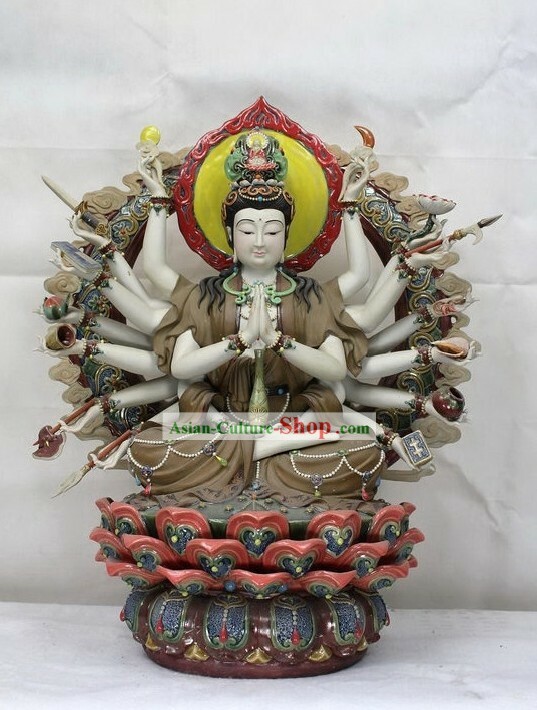 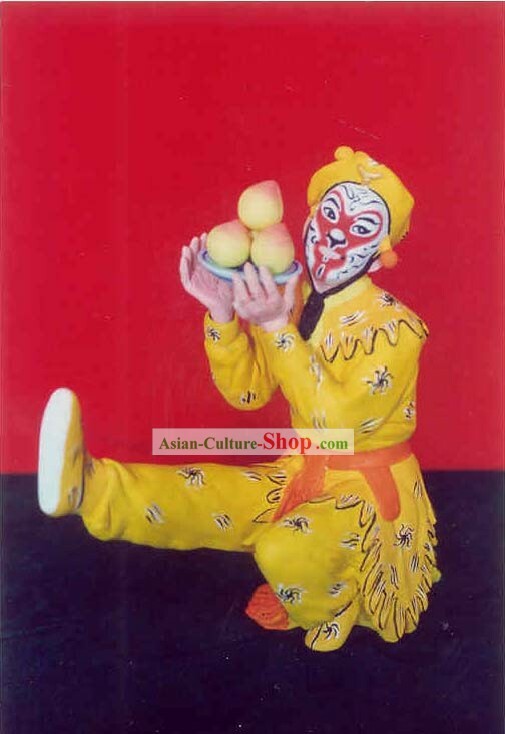 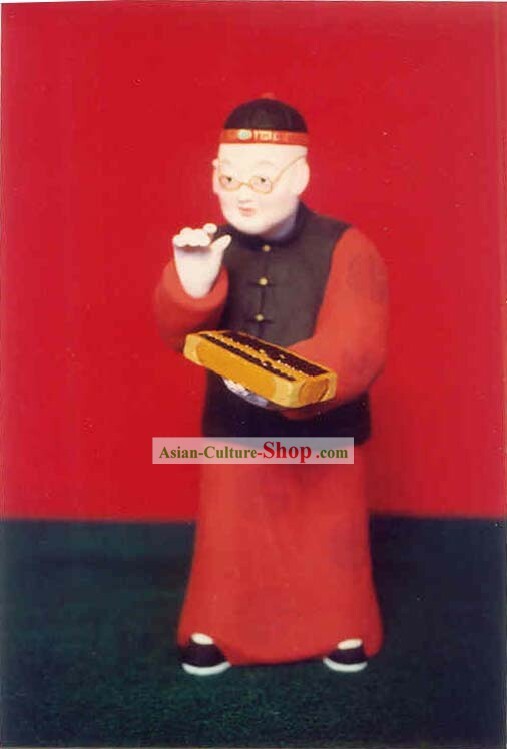 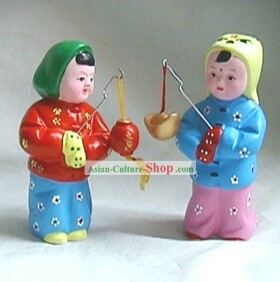 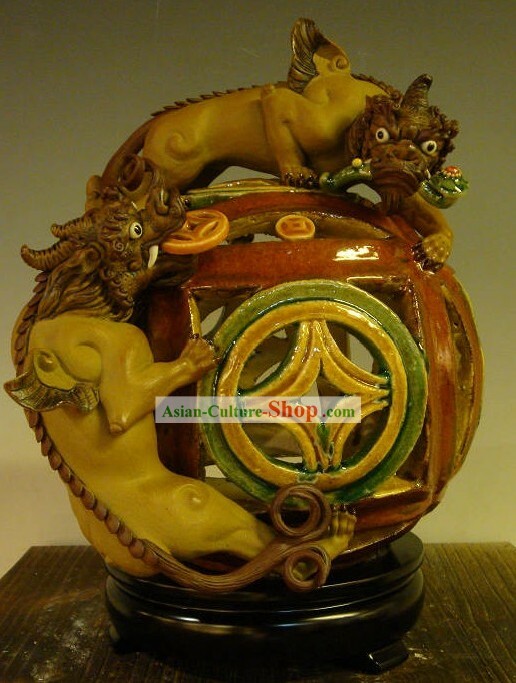 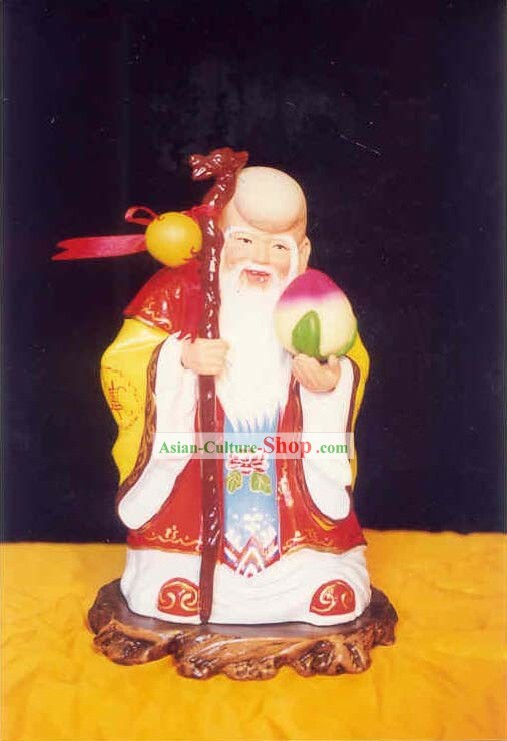 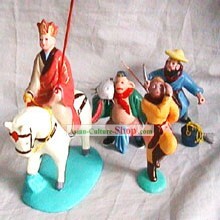 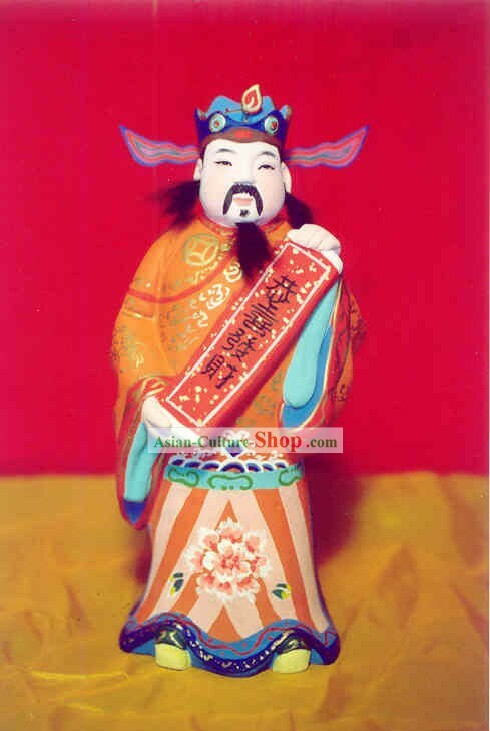 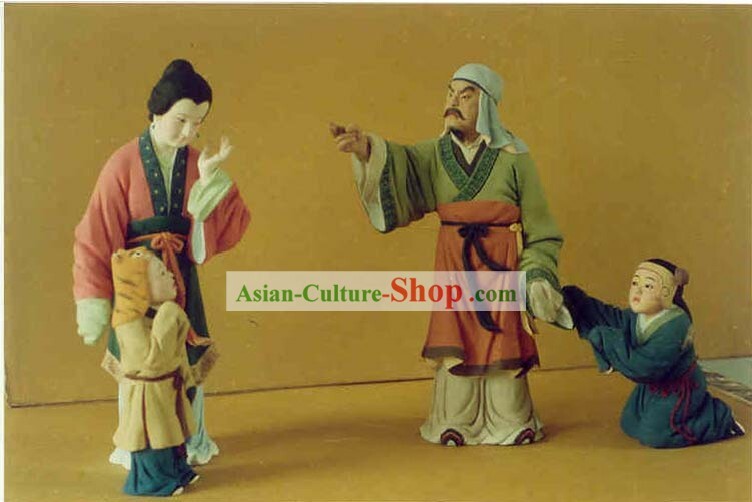 For enquiry of China Painted Sculpture Art of Clay Figurine ZhangMammon...?